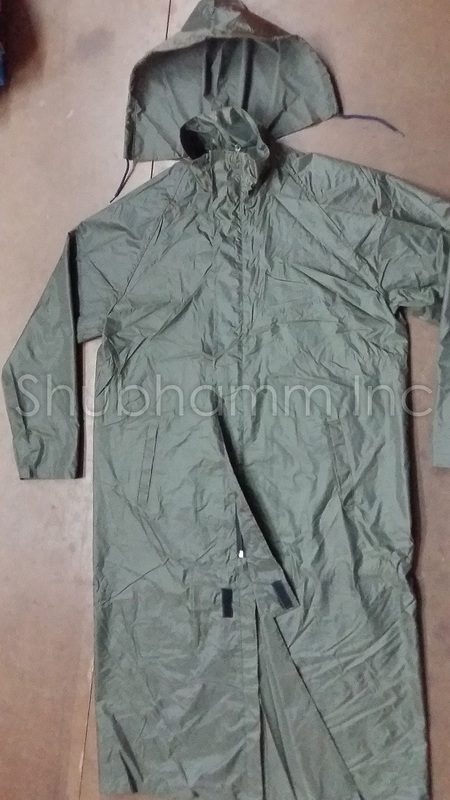 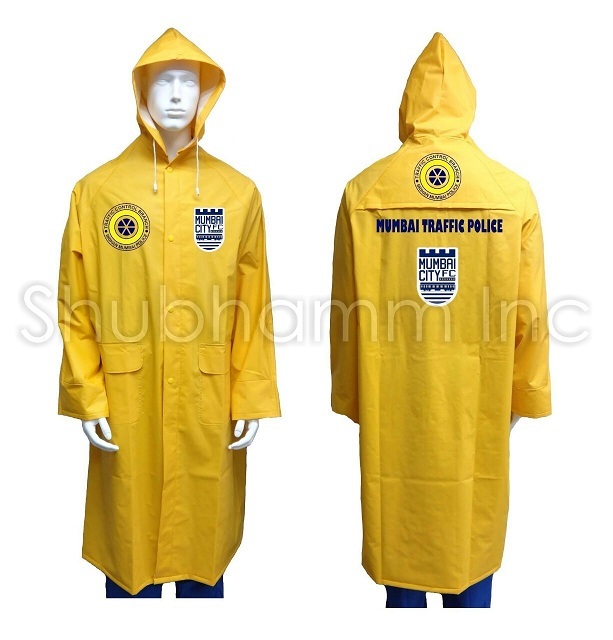 PVC raincoats are raincoats which are commonly throughout India. 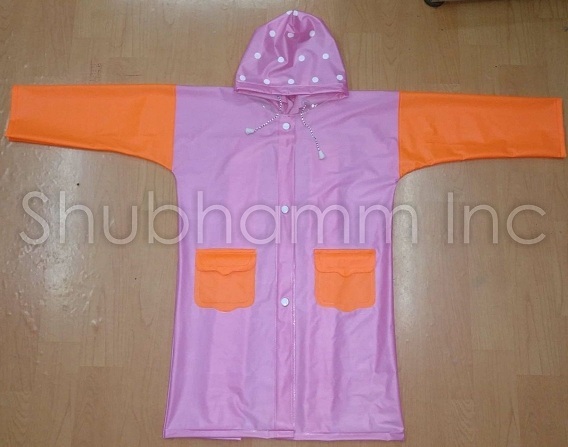 PVC Raincoats are cheap, reasonable, light weight and can be manufactured with client branding on it. 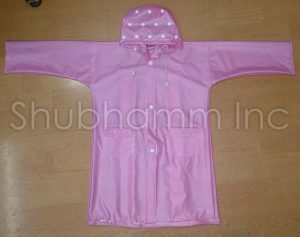 The property of PVC does not allow needle to pass through, which is why PVC raincoats are sealed from inside and not stitched. 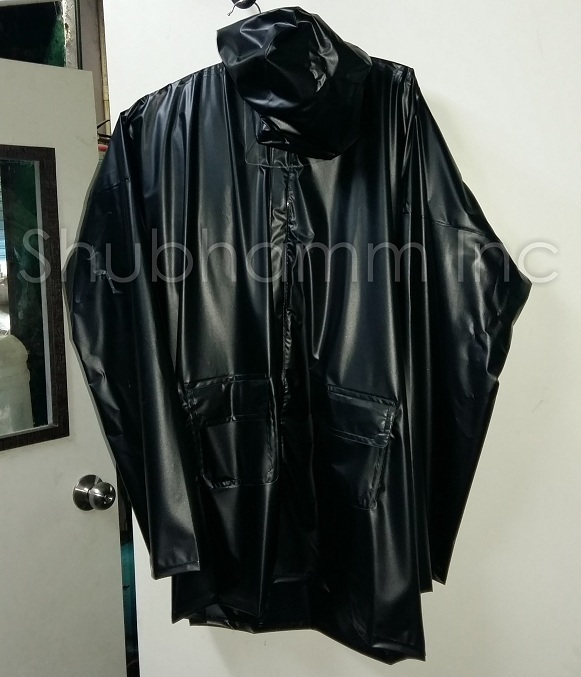 The life of PVC raincoats is less compared to Reversible Raincoat and Rubberized Raincoat. There are various qualities and colours available in PVC raincoats. 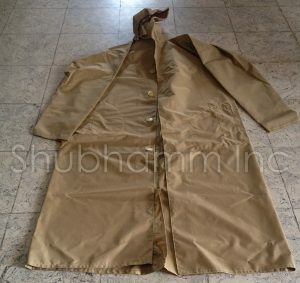 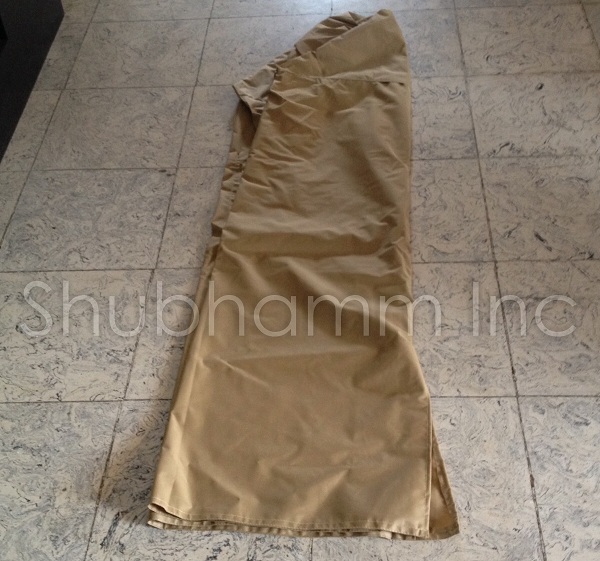 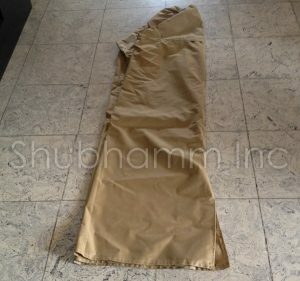 The pricing of PVC Raincoats completely depend on the gauge of the fabric. 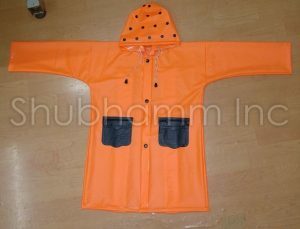 The gauge starts from 10mm up to 18 mm. The higher the gauge, the thicker the fabric is and very less chances of water to pass through. There are more than 15 different colour options available in PVC fabric. 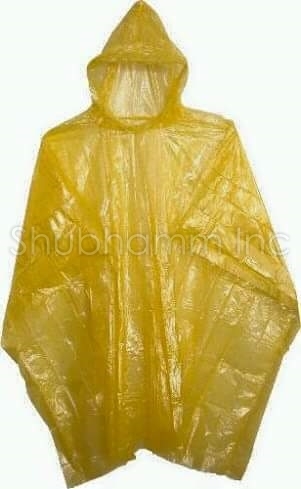 Sizes available are L, XL and XXL. 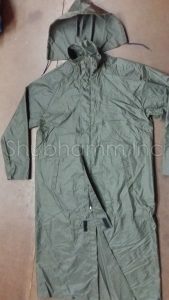 PVC Raincoats are also termed as PVC Jacket, Multi Use PVC Jacket, Promotional PVC Raincoat, Customised PVC Raincoat, PVC Windcheater.